Everyone knows our biggest and most populous continent is a busy place, but these interesting facts about Asia really hint at some of the extremes found there. Asia is still growing. And as modernization accelerates, old customs and ways of life become lost. That's just one of the many reasons why you should travel to Asia sooner than later. Go where the action is, then prepare to be surprised! Linguists still aren't sure of the original language from which "Asia" came. No one is sure of the word's origins. The Greeks are generally credited with creating the concept of Asia and propagating it, but the word goes back even before. The word "Asia" is used as a female name and means sunrise. After all, the sun rises in the east, home of the Far East. One theory claims the name "Asia" is possibly a variant of Aisha, the name of Muhammad’s favorite wife. In Greek mythology, Asia was the mother of Atlas, the Greek titan credited with holding up the sky. With around 30 percent of the earth’s surface area, Asia is the largest of the seven continents on earth. Technically, Asia is physically connected to Europe to form the landmass of Eurasia. Separating Europe and Asia into two distinct continents isn't based in geology. Many different definitions of Asia's boundaries exist: geological, cultural, and political. No one can seem to agree, but one fact about Asia is irrefutable: it is the largest continent on earth. The 14 tallest mountains on earth, known collectively as the Eight-Thousanders, are all located in Asia — each one is over 8,000 meters (26,246 feet) tall. Ten of the peaks are located in the Himalayas, but four are in the Karakoram range. The K in K2 comes from Karakoram. Everest is the most famous but definitely not the most dangerous. Annapurna I in Nepal has a climber fatality rate of over 33 percent — one in three mountaineers perish on attempts! Asia is the most populous continent on earth; an estimated 4.46 billion people (2016 data) live on the continent. Roughly 60 percent of the earth’s population lives in Asia. The top six most populous cities (by metropolitan area) in the world are located in Asia. Many people haven't even heard of the current most populated city in the world: Chongqing. The megalopolis is an important industrial city in China of over 30 million people. Counting residents within only the city limits, Shanghai ranks second in the world with over 24 million residents. In comparison, New York City has yet to reach 10 million residents. Asia is home to the most densely populated cities and simultaneously the most sparsely populated regions on earth. Crowded spaces and lack of personal privacy are among the top complaints by travelers in Asia. Being the most populous place on earth, it's no surprise that the most population-dense places are found in Asia. With an average of 21,411 people per square kilometer (55,454 people in every square mile), Macau — a special administrative region belonging to China — has the highest population density in the world. Singapore ranks third with 20,191 people per square mile. The land borders for Asia — and list of what countries are considered "Asian" — are not clear. This causes a lot of disputes. Cultural and political separation is necessary because Asia geologically connects directly to Europe to form Eurasia. The concept of "Asian" is originally European; people from different countries in Asia never considered themselves to be pooled together! Many countries in Asia outrank the United States for average life expectancy. Per the United Nations, countries with longer life expectancies than the U.S. include Japan, Singapore, Hong Kong, South Korea, and Taiwan. Pretty well all organizations, including the United Nations and World Health Organization, have Japan ranked first for the longest life expectancy in the world. The CIA lists Monaco as first and Japan as second in 2016 data. The average life span in Japan is 80.9 years for men and 86.6 years for women. The average life expectancy for a male in the United States is 76.4 years (per 2015 UN data). Even after suffering decades of economical struggles, there are more millionaires in Japan than in Germany, France, Italy, China, or Canada (per 2017 data). Japan ranks second in the world for number of millionaires behind the United States. More millionaires call Tokyo home than Paris, Los Angeles, Chicago, or San Francisco. China surpassed the United States for number of billionaires in 2016. Per 2018 data, there were 234 more billionaires in China than in the U.S. The richest man in Asia is currently Ma Huateng. He is the founder of Tencent, a technology and entertainment conglomerate that created China's popular QQ and WeChat social apps. With a few exceptions, Bangkok has held the coveted "most visited" city spot for many years in a row. Thailand's capital consistently beats out London, New York City, and Paris for number of international arrivals. Singapore, Tokyo, Seoul, and Kuala Lumpur often rank in the top 10, too. 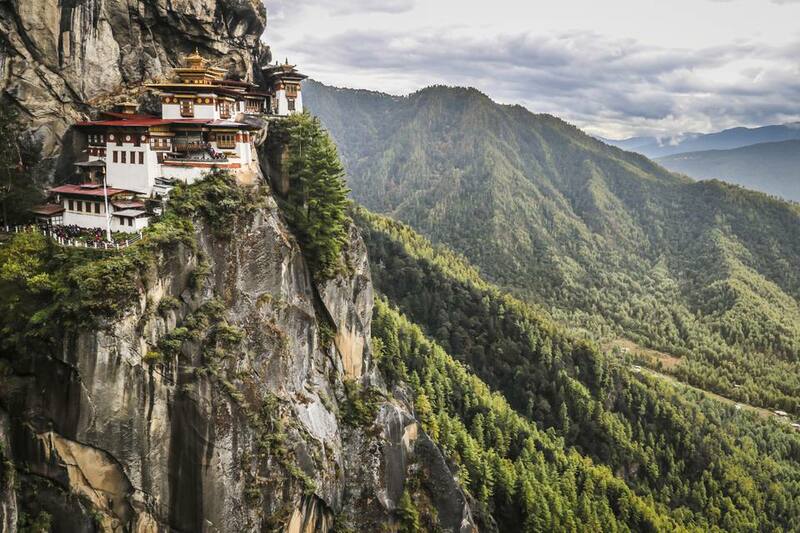 Despite Asia’s astounding economic growth and population density, there are still wild, completely unexplored places. Approximately 44 never-before-contacted tribes are thought to exist in the jungles of Papua, Indonesia, alone! Despite Sumatra's close geographical proximity to the metropolis of Kuala Lumpur, uncontacted or lightly contacted tribes are still assumed to exist in the rainforests. There are lots of places to hide on the sixth largest island in the wold! Mobile phone use and service are impressive in Asia. Asian countries with more mobile phones in use than people include: Hong Kong (2.4 phones per person), Singapore (1.5 phones per person), Malaysia, Taiwan, Nepal, Sri Lanka, the Philippines, South Korea, Japan, and Thailand. Although Nepal has historically been one of the most impoverished countries in Asia and suffers from frequent natural disasters, mobile phones in use still outnumber people! With an average of only 12.2 mobile phones per 100 citizens, North Korea has the second lowest mobile phone density in the world. Cuba ranks at the lowest. Tenzin Gyatso, the 14th Dalai Lama, hails from Tibet and resides in exile at the Tsuglagkhang Complex in McLeod Ganj, India. He was born on July 6, 1935. He has outlived all of his peers by many years and is definitely the most connected: you can find him on Twitter and Facebook! Asia is the most rapidly deforested place in the world, even worse than the Amazon. The latter gets more publicity, however, the rainforests in Borneo and Sumatra are cleared to make way for palm oil plantations. Although sustainable palm oil does exist, instead most plots are logged and then replanted with palms that aren't suitable habitat for the animals that once lived there. Palm oil is widely consumed (often just labeled as vegetable oil) and is also used to make products that lather such as shampoo (labeled as sodium laureth sulfate). Orangutans are one of the biggest victims of habitat loss due to unsustainable palm oil practices.